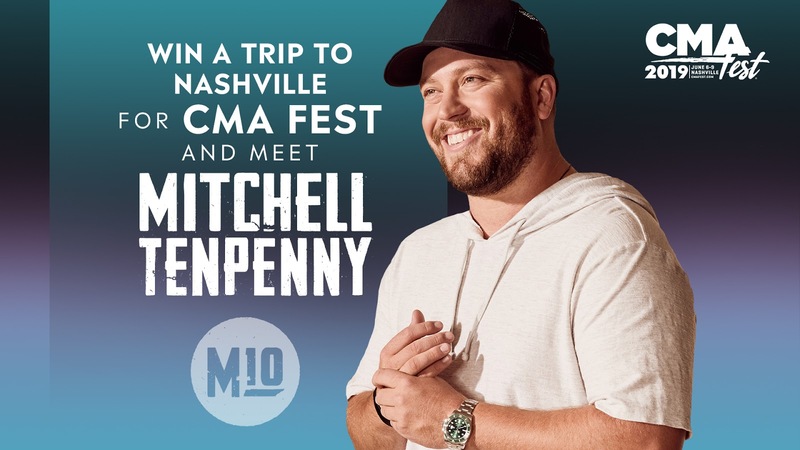 Win a Trip to #CMAFEST 2019 to Meet Mitchell Tenpenny! 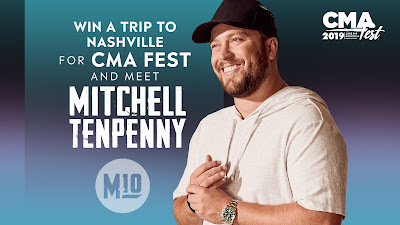 Sony Music Nashville is offering fans a chance to win a trip to CMA Fest 2019 in Nashville to meet Mitchell Tenpenny! One grand prize winner and a guest will receive 4-day passes to CMA Fest 2019, flights, and hotel stay from June 6-10, 2019. Plus, a meet and greet with Mitchell Tenpenny! MusicCityMeetandGreets.com is merely reporting the availability of this contest and is not affiliated with, endorsed, sponsored by, or in any way officially connected with the CMA Music Festival, Mitchell Tenpenny, or Sony Music.